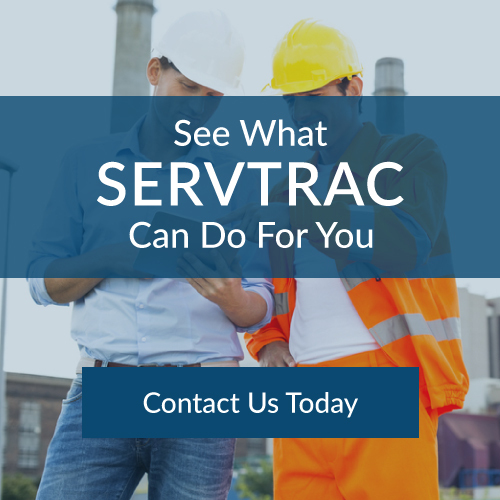 SERVTRAC® provides tools to schedule warranty service, track equipment service history, quickly bill for service and monitor anticipated revenue from manufacturers. Warranty management will track and report warranty cost against warranty reserve to facilitate accurate budgeting of warranty reserve dollars. Users at all levels, from dispatch to technicians, benefit from real-time access to equipment warranty information. Warranty management helps companies avoid performing service on out-of-warranty equipment and provides the company with an excellent opportunity to develop service contract sales. SERVTRAC® provides visibility into equipment warranty information and is a key element of improving service delivery and back-office efficiencies. Managing new and used equipment warranties is vital to customer satisfaction. 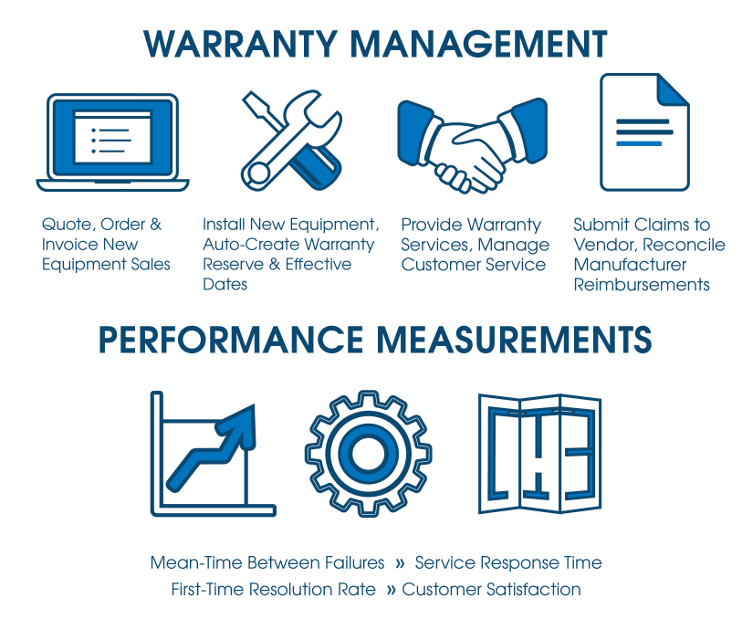 SERVTRAC® warranty management ensures that new equipment warranties are managed in a way to maintain positive customer relationships, drive new equipment sales and take advantage of service contract sales opportunities. Management reporting tools based on proven metrics such as response time, uptime-index, first-time-fix-rates, meantime-between-failures and others are critical to demonstrating service delivery capabilities to customers. SERVTRAC® warranty tracking provides complete visibility to both the mobile and back-office worker, ensuring that stakeholders have real-time access to contract status, SLAs, unique customer offers and warranty effective dates. Visibility into this information helps to avoid mistakes that may have an adverse effect on customer service and provide the customer with evidence that demonstrates the value of the relationship. SERVTRAC® automates the contract billings, inspections, management and renewal processes and ensures that equipment that is covered under a service contract is managed efficiently – helping to maximize contract profits and deliver customer satisfaction. Users at all levels, from dispatch to technicians, benefit from real-time access to equipment contract information. Contract management helps companies avoid performing service on out-of-contract equipment and provides the company with an excellent opportunity to develop other add-on sales. SERVTRAC® provides visibility into equipment contract information and is a key element of improving service delivery and back-office efficiencies. Managing equipment service contracts effectively is vital to customer satisfaction. 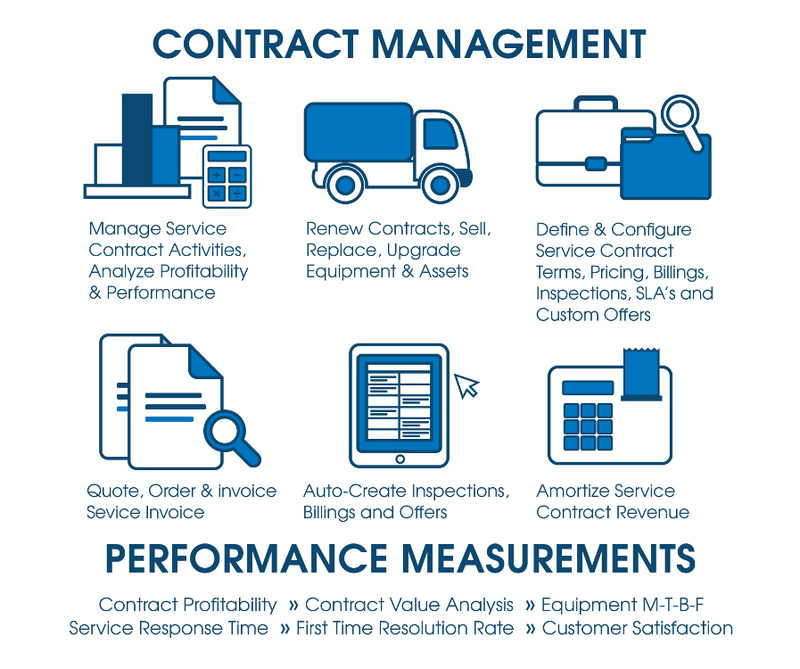 SERVTRAC® contract management will ensure that contracts are managed in a way to maintain positive customer relationships – relationships that will drive new equipment sales and ongoing contract sales opportunities. Management reporting tools based on proven metrics such as contract analysis, contract value analysis, contract profitability and contract expiration, bundled with service management reporting tools such as response time, uptime-index, first-time-fix-rates, meantime-between-failures and others are critical to demonstrating service delivery capabilities to customers. SERVTRAC® contract tracking provides complete visibility to both the mobile and back-office worker, ensuring stakeholders have real-time access to contract status, SLAs, unique customer offers and contract effective dates. Visibility into this information helps to avoid mistakes that may have an adverse effect on customer service and provide the customer with evidence that demonstrates the value of the relationship.